For more than two decades Rob Brown Bail Bonds has been providing professional bail bond services in Lakeport, Ukiah, Colusa, Yuba City, and Marysville and the neighboring communities in Lake County, Mendocino County, Colusa County, Yuba County and Sutter County. At Rob Brown Bail Bonds we understand that you're utilizing our service during a trying time, which is why we work hard to make sure you're completely comfortable throughout the bail bond process. We fully explain every step of the process and are very upfront about your probable responsibilities and any associated costs when posting bail for a friend, relative or other loved one. 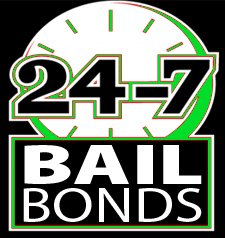 If you have any questions about posting bail in anywhere, anytime give Rob Brown Bail Bonds a call anytime day or night. The agents at Rob Brown Bail Bonds are highly experienced in posting bail in California. This means that we are able to offer the fastest and most reliable service at prices that are very affordable. Our bail bond agents are available 24 hours a day, 7 days a week to ensure that your loved one is released as quickly as possible. Allow our team to walk you through the bail process and take care of all the necessary paperwork to have your friend or relative released pending their upcoming court dates. We place customer service above all else. We know this is likely a difficult time for you, which is why we don't treat our customers as clients, but as members of our family. We will work tirelessly to secure the release of your loved one in a very timely and affordable manner. Call (707) 587-4563 to speak with our team of professional bail bondsmen at our Kelseyville office to learn more about using a bail bond in Lakeport, Ukiah, Colusa, Yuba City, and Marysville or anywhere in Lake County.